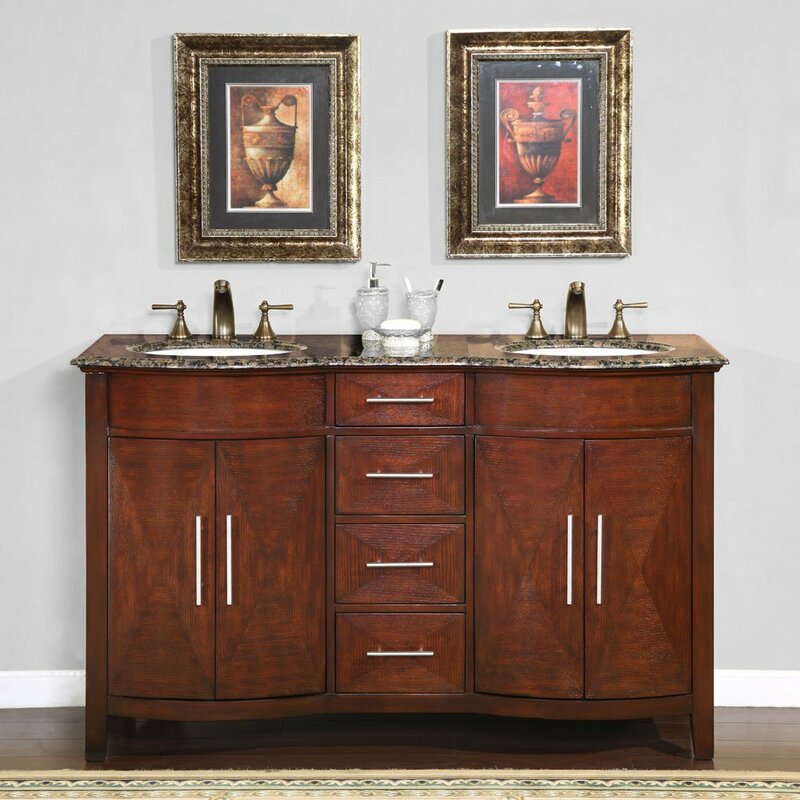 The Alfano Double Bath Vanity blends traditional and modern design elements into one attractive model. The handles are clean and simple, while the multi-tonal wood finish is a classic choice. 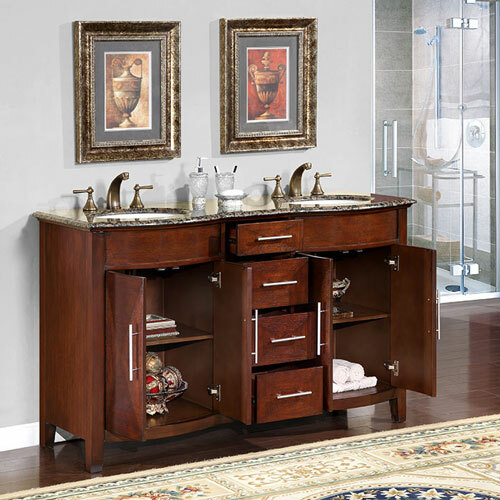 Four drawers and two double door cabinets allow you organize and store anything you might need for your bathroom. 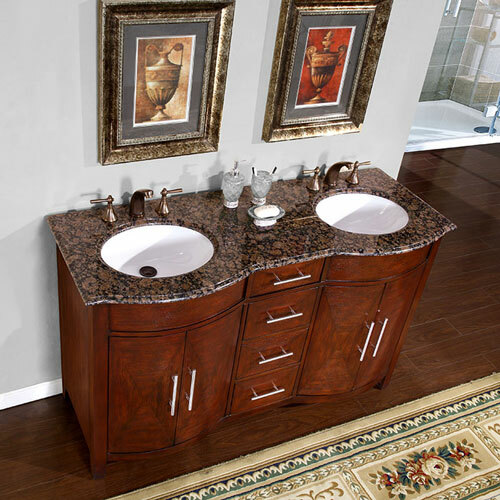 The Baltic Brown Granite countertop includes undermount white ceramic sinks. The top is also pre-drileld for standard widespread faucet installation. Faucets are sold separately.